So if you ask anyone that knows me, they'll tell you, straight up - Lauren doesn't wear sandals. Since being a small child, I've never liked sandals. I was always more at home in a pair of trainers, and as I've gotten older those trainers became Doc Martens and heeled boots. I don't know what it was. Maybe the fact that sandals always seemed to give me blisters or that my feet used to slip and slide all over the place, maybe it was the sheer laziness of never wanting to paint my toenails or possibly it was my strange aversion to feet. Either way, I never even owned a pair much less wear them. However, this summer I made a pact to myself that I would start wearing more summery shoes. It's getting a little silly that I'm 24 years old now and I'm still wearing socks and boots when it's hot out. If we're being honest, it makes me look pretty silly too. so watching one of Lily Melrose's most recent Boohoo haul, she bought these - the Saskia Peeptoe Mule Sandal. I don't know if it was the sheer simpleness of the shoe or the punchy orange colour, but I fell in love with them when I saw them. I immediately ordered a pair and was pleasantly surprised by how comfy they were. I went to work on their first outing and they didn't rub me once, nor are there any blisters in sight. I do struggle to wear them with anything other than an all black outfit but incorporating colour into my otherwise monochrome wardrobe is a topic for another time. The second pair of sandals I also adore is this pair from H&M - sadly, they don't seem to be currently stocked on the website but they are most definitely in stores. Now I'll be honest, H&M shoes and I tend to have a love/hate relationship. I either love them and can't get enough of them, or they rub me terribly to a point where I bury them under my bed never to be seen again. Fortunately, this pair fall into the former. They have yet to rub me or give me blisters when I've worn them and the simple yet somewhat different design add a little something something to any outfit. Not to mention the neutral black colour means you can wear them with pretty much anything. I'll be teaming these with my beloved ripped skinny's and a leather jacket, or maybe a cute dress when the sun really comes out. I'll be honest and say that I'm actually pretty pleased for convincing myself to buy sandals. I've come to realise, in retrospect, boots and socks in warm weather actually aren't a good mix and it gives me a great excuse to use my mountain of nail polish since I now wear acrylics on my fingers. So around the start of December I was contacted by the lovely Joy from BornPretty, asking me to review a few of their items. Having looked at their website, I was more than willing to play around with a few of their products. What I love about BornPretty is that it holds a huge plethora of items other than makeup. It sells everything from jewellery to stationary. I was given a $10 amount to spend on makeup products from the website, and since everything is so cheap it was more than enough to buy some decent products. Firstly I picked their Mini Whitening Foundation in Shade 1 ($3.48). As you can see from the above photo, the product is very tiny and is more of a sheer consistency. I prefer to use it as a concealer as it would take too long to apply the entire product to my face. It works lovely under the eyes and for any highlighting I wish to do. It comes with a built in doe-foot applicator so it's very easy to apply to the complexion. Trying to pick another product I noticed that despite my exhaustive collection of brushes, I don't own a fan brush. The Portable Slim Fan Brush ($2.95) is probably my favourite product of all three I was gifted. It's super soft, washes well and applies highlighter to my face in such a flawless, lit-from-within way. I honestly can't fault this brush in the slightest. Last up is the Powder Blusher in Shade 2 ($3.99). Originally I wanted Shade 5 but unfortunately it was out of stock so I picked Shade 2 instead. 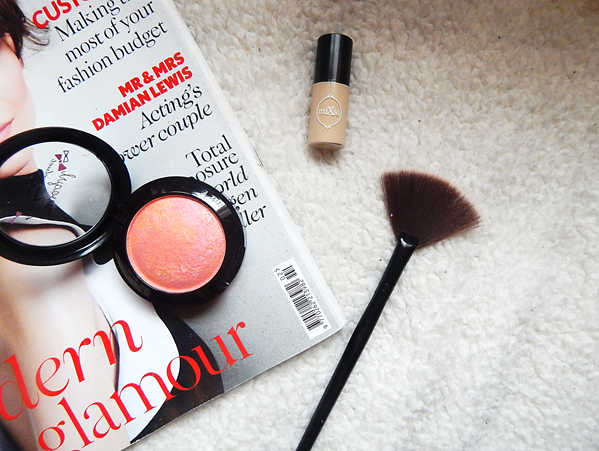 It's a lovely peachy pink that has gold shimmer running through, making it a perfect blush/highlighter hybrid. The formula is faultless, not chalky or powdery in the slightest and it has really good lasting powder since it cashes in at under $4. I'm really pleased with all of the products I was gifted and I'm so thankful to BornPretty for giving me this lovely opportunity. They've also given me a discount code for you guys to get 10% off your orders - LDWH10. BornPretty does ship internationally and offers Free Delivery on all orders. So I've heard (and read) many a positive review about this little product over the blogosphere these past couple of weeks, and so like any other spend-happy, easily influenced blogger - I made another blogger-induced purchase. I'm pretty sure it's NikkieTutorials we have to thank for finding this little gem in the drugstore - myself included. 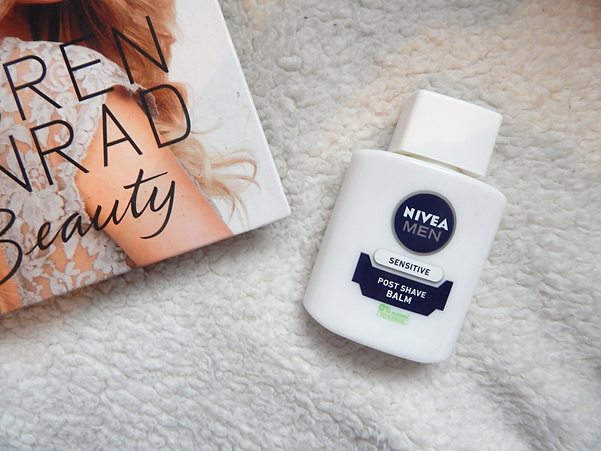 When I did first hear that bloggers and beauty gurus alike had started incorporating the Nivea Men Sensitive Post Shave Balm (£5.29) into their makeup routines as a primer, I was skeptical. I mean, it's a product designed for use on a freshly shaven face (not to mention aimed at men) - turns out, this actually works! I love a good primer and to find out that I can pay just over a fiver for a huge bottle of one that I love is definitely music to my ears - especially since I've spent way more than anticipated over the Christmas period. The ingredient used that makes it work as a primer is glycerin - glycerin attracts moisture to the skin and anything put over top latches onto it. 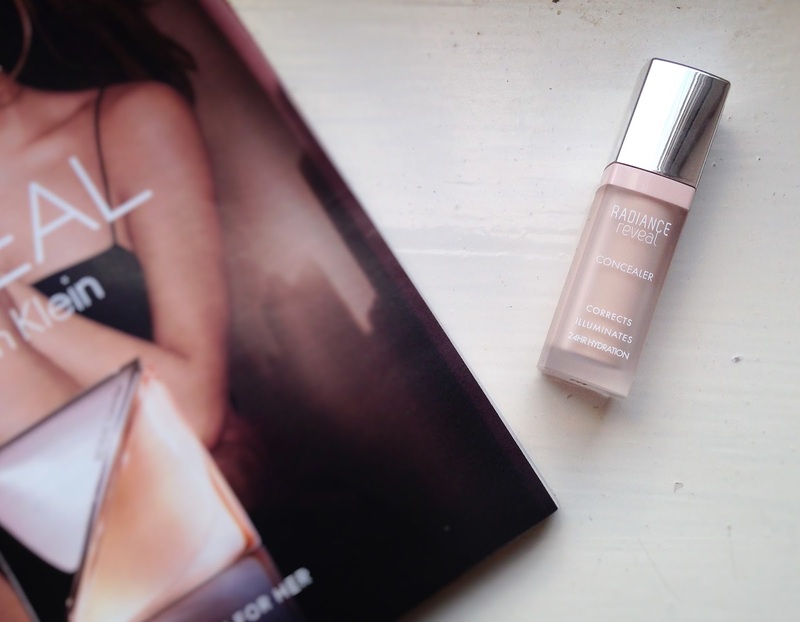 I've definitely noticed a stronger longevity with my foundations on the days I've used this. 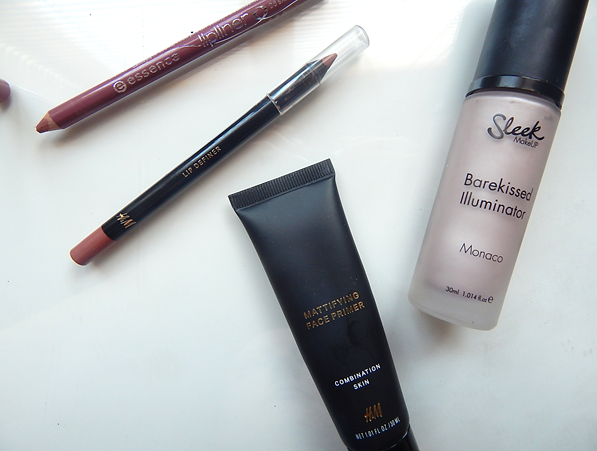 I also find my foundations apply more smoothly over top since it is (essentially) a moisturiser. It doesn't completely mattify the skin so I still tend to get an oily t-zone but that's expected and so far, I've been loving it in my makeup routine. It does have a slight masculine scent but it doesn't linger for too long. 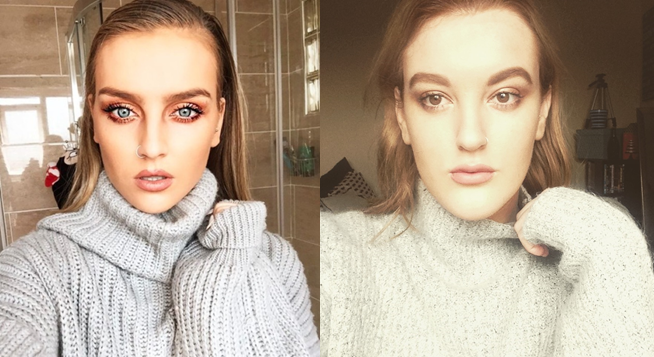 It still amazes me that beauty bloggers/vloggers can make use out of anything. I hope you all have had a wonderful Christmas and looking forward to the New Year. This year just seems to be shooting by! Another month gone and another 'favourites' post coming your way. Christmas is quite literally just around the corner now and is it just me or does it not feel much like Winter at all? The weather's not nearly cold enough yet and I still feel like we're somewhere in August. Anyway, onto my actual favourites for this month. 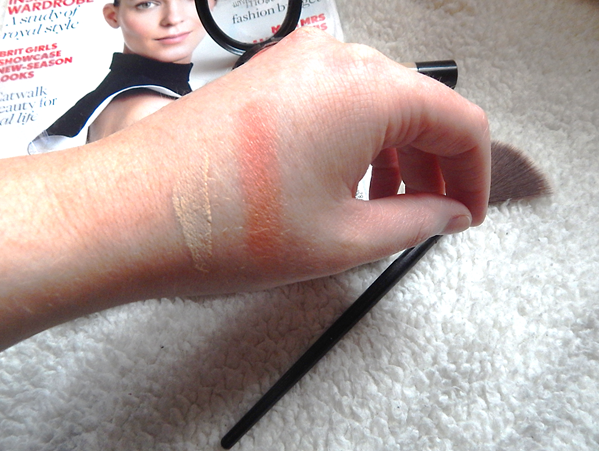 First up has definitely been Bourjois' Healthy Mix Foundation (£9.99). Despite the weather not being cold enough to be deemed as proper Winter yet, it's still been cold enough for my skin to start drying out. This foundation is my absolute go-to each Winter because of it's undeniable talent of not clinging to dry patches and adding a a lovely glow to the complexion. It blends beautifully and smells gorgeous - I honestly couldn't fault it if I tried. Secondly has been an apparent favourite amongst other bloggers and youtubers alike and that's the Soap & Glory One Heck of a Blot Primer (£10.00). I came across this when I was looking for a pore minimising primer after the demise of my Benefit PoreFessional. Safe to say it's definitely impressed me. It prolongs the wear of my foundation whilst simultaneously mattifying the complexion and minimising pores. I love it. With the Winter season (and again, drier skin) comes the cream blushes and this one - Revlon's Cream Blush in Charmed Enchantment (£7.99)- is one of my all time faves. A beautiful berry shade that blends faultlessly across the cheeks for a rosy flush. I'm so happy I stumbled across this last year, it's been my go-to ever since. Lastly has been a hair favourite. Since I've started my training to become a hairdresser, I've been taking alot better care of my barnet. I mean, I took good care of it before, but only with products from the drugstore. 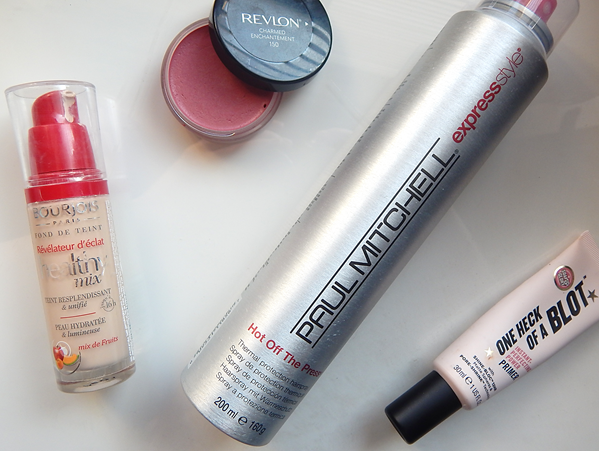 Hair products - like makeup - work alot better when you spend that little bit extra. Anyway, one of the main brands of hair care at my salon is Paul Mitchell, and one of the reasons I love it is because it's totally affordable. Their Hot Off The Press (£15.95) is the best heat protectant I've ever used. Designed for use on dry hair it smells lovely and really does guard the hair from heat damage. Another one is their Heat Seal, which is designed for wet hair but a mixture of both means your hair has the best protection possible from hairdryers and flat irons. I hope you've all had an amazing October and a good Halloween.